The Queen's Speech has paved the way for the ditching of the controversial "dementia tax" in England, set out in the Conservative election manifesto. The value of an individual's home was to be taken into account for all types of elderly care under the plans. The two-year government programme set out by the Queen promised reform, but stopped short of making specific pledges on the details. It said full plans would be published and consulted on at a later date. Campaigners welcomed the chance to re-think the policy after heavy criticism of it during the election campaign. Critics said it was unfair as it meant those that needed the most care could face catastrophic costs. 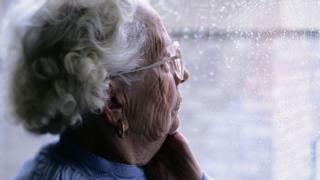 Age UK charity director Caroline Abrahams said a fairer system was "so desperately needed". But she added: "The proposals set out in the Conservative Party manifesto were insufficiently thought through and involved a major shift of financial liability on to older people and their families, and there was a lack of clarity as to what they might receive in return which might make such policies fair and worthwhile from their point of view." The manifesto outlined a new system for the way older people paid for care in the home and in care homes, amid reports that services were increasingly being rationed. A number of changes were put forward, including, for the first time, the idea of including the value of an individual's own home no matter what care they received, which opponents branded a "dementia tax". It would have meant people needing expensive care, such as for dementia, could face unlimited costs, with the only protection being that £100,000 of their estate would be left. However, after days of negative headlines, the Prime Minister Theresa May announced costs would be capped after all - although she did not set out what level the cap would be set at. A Green Paper is now likely to be published at the end of the year on changes to the social care system. Government sources said the subsequent commitment to cap costs would be honoured, but no more details would be released at this stage. One in 10 people faces costs in excess of £100,000 once they reach the age of 65. Alongside the announcement on social care, the Queen's Speech also included a promise to introduced a Patient Safety Bill to establish an independent investigation body to look into mistakes. New mental health laws were also committed to amid concerns the 1983 Mental Health Act is out of date and leading to unnecessary detention of patients in hospital and police cells. What's cost of care in your area?